The Unemployed People’s Assembly for the Right2Work on the 17th of August 2017. Unemployed movements from around the country, will converge at Constitutional Hill, Johannesburg to demand the right to work. This is in the context of rising unemployment in South Africa and around the world. Statistics South Africa released the Quarterly Labour Force Survey in the 2nd quarter of 2017. It indicates that the levels of joblessness continues to rise. 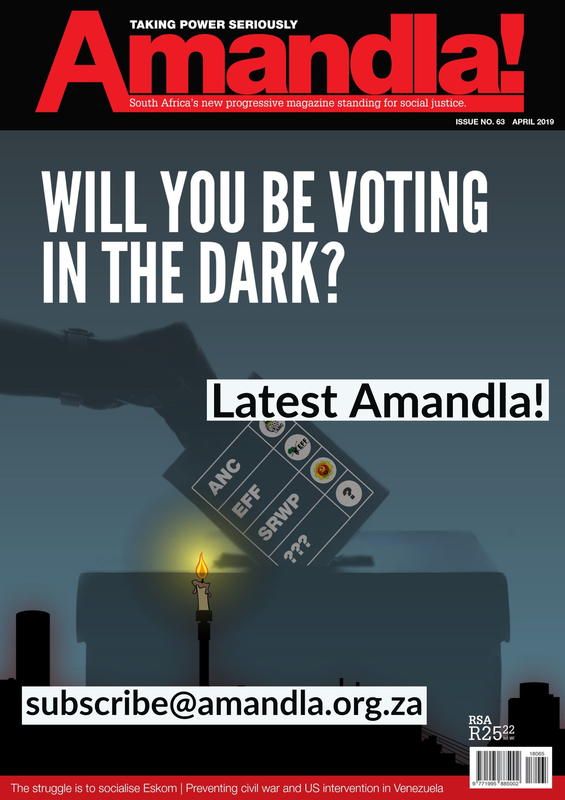 South Africa faces a catastrophe and it is difficult to comprehend the silence of policy makers. 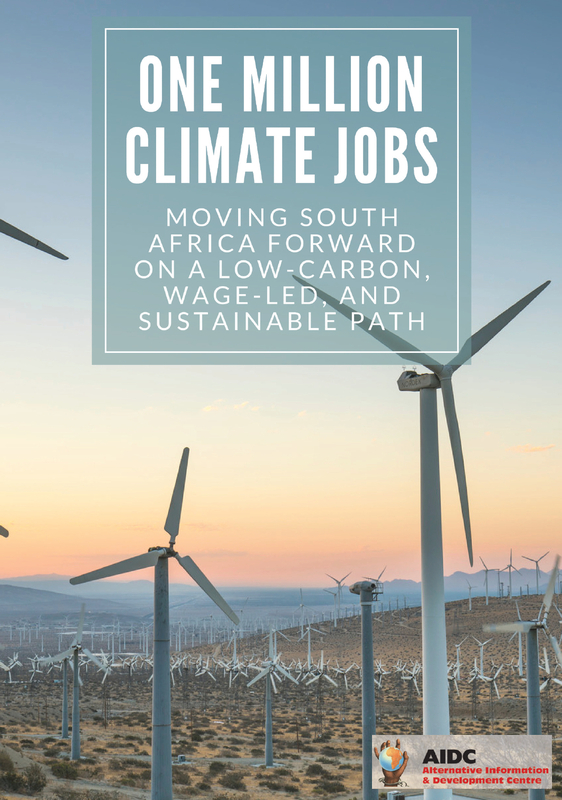 The stagnant economy, the fact that it is in recession (meaning the economy is contracting not growing) is only one factor contributing to extreme levels of unemployment in South Africa, but it is not the only one. We need to be critical of government policy that does not create sustainable and decent jobs. The number of people that are unemployed is now six million, one hundred and seventy seven thousand (6,177 000). In addition, there is an additional 2,361 000 unemployed people who have given up looking for work. This means according to Stats SA there are a total number of 8, 5 million workers who cannot find work. A clear indication of the fact that there are no jobs is the fact that 513 000 people who have tertiary qualifications are unemployed and an additional 582 000 people with tertiary qualifications have given up looking for work. More than 1 million people with degrees or other tertiary qualifications cannot find work. Amongst the social movements attending the Assembly is Progressive Youth Movement (Western Cape), Amandla Forum (Eastern Cape), Unemployed People Movement (UPM), Botshabelo Unemployed Movement (BUM), Gauteng Civic Associations, Amadiba Crisis Committee (Eastern Cape), Sterkspruit Civic Association (Eastern Cape), Masibambisa Unemployed Movement (Gauteng), Southern Africa Green Revolution Council (Mpumalanga), Midrand Solidarity Economic & Education Co-Operative (Gauteng). 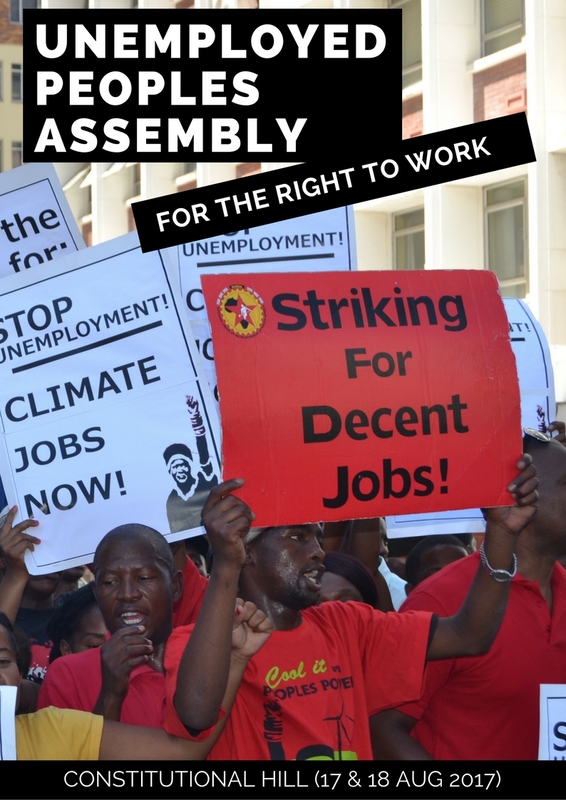 The purpose of the Assembly is to create a space for the unemployed people to articulate their demands and explore possibility of a national campaign against unemployment. It will give voice to the masses of voiceless unemployed people in this country. The unemployed people are organising themselves and will be looking for alliances with organised labour towards a living wage. This Assembly is not a once off event but the beginning of an organising process for the Right2Work nationally.